As I’ve mentioned before, Boston is where I spent 9 years of my life attending college, falling in love with my husband and later starting my career in the hospitality industry. It was a dream come true to bring our son back for the first time. 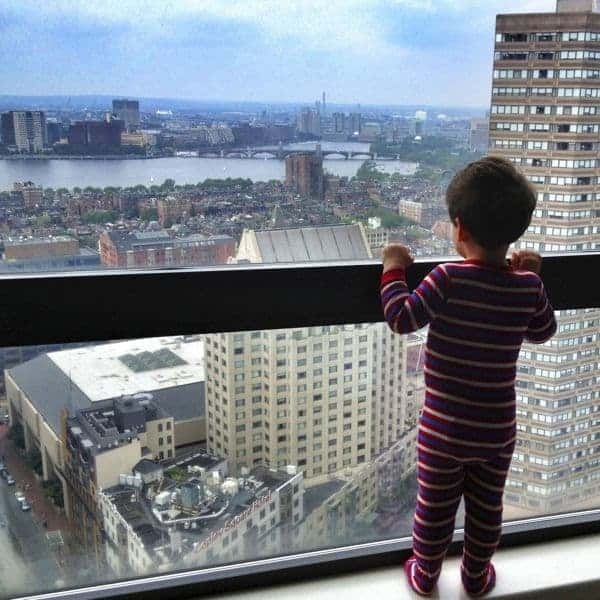 This photo of him looking out at the city makes my heart swell. 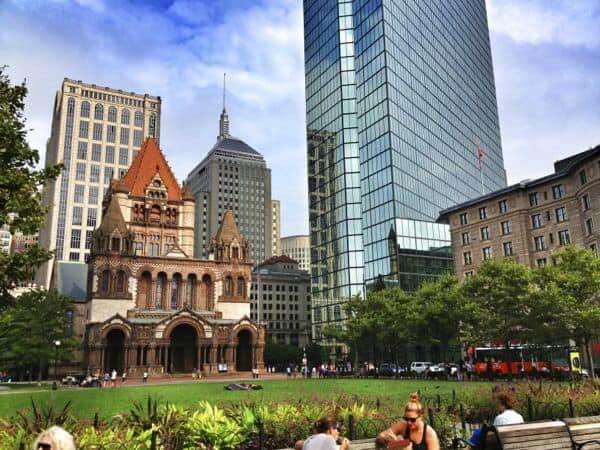 Isn’t Copley Square beautiful? During college I used to intern at the Boston Convention and Visitors Bureau nearby and would have lunch in this park on warm days. 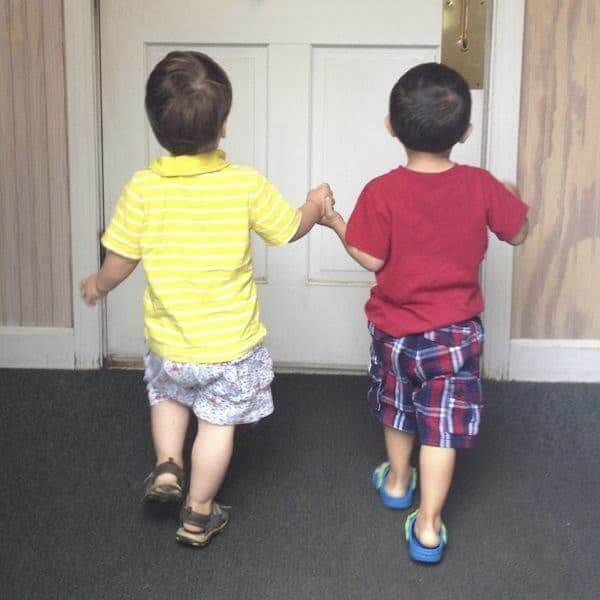 One of the main reasons we visit Boston as much as possible is to see my husband’s family including my adorable nephew (right) holding hands with his cousin, my son. Who isn’t happy to join their cousin for breakfast at Village Pancake House? The other reason we went to Boston was so that I could attend my best friend’s bachelorette party. Baby number 2 put a major crimp in plans for me to stand in her wedding next month. :( Side Note: It’s too bad my son didn’t take a liking to her…. 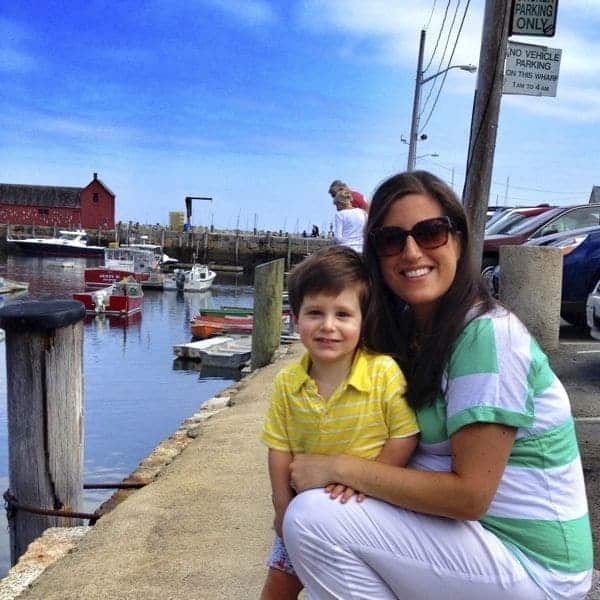 One of the best days of our vacation took place in Rockport, a quintessential coastal town about 20 miles north of the Boston. We enjoyed fried clams, lobstah and soaked up plenty of sea water and fresh air. It was glorious. We are now back home in fall “back to school” and back to work mode. While my little guy isn’t heading off to school every day, it is certainly a busier time of year which is why I love having healthy snacks like these Banana Nut Chia Power Bars on hand. I know you will love them too. 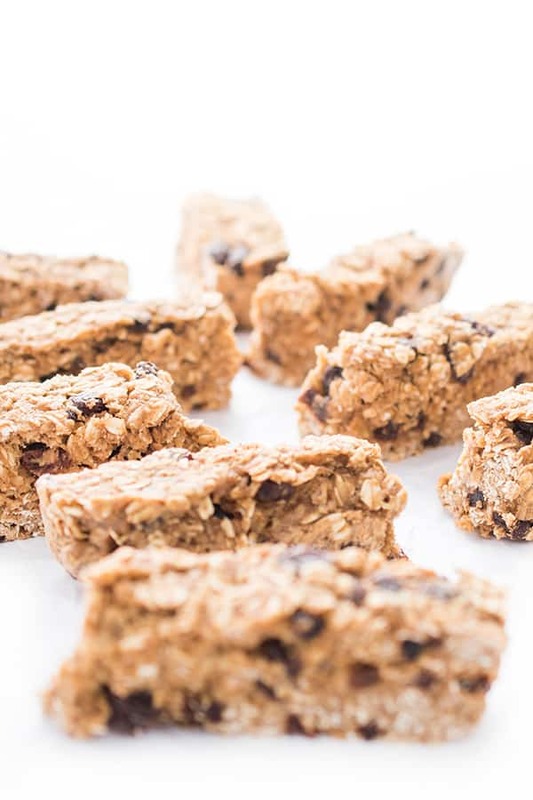 These protein-packed, gluten free and vegan snack bars are perfect for brown bagging or stashing in your car for a quick snack! Pre-heat oven to 350 degrees and spray an 8 x 8 baking pan with non-stick cooking spray. 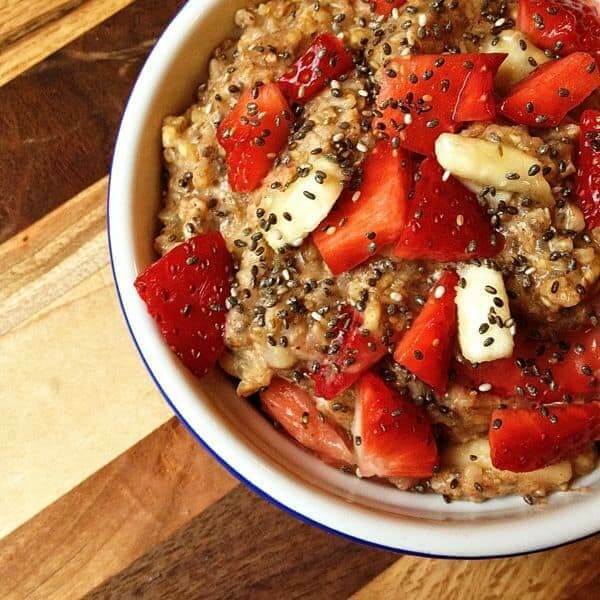 In a large bowl, toss together oats, brown rice cereal and chia seeds. In a medium bowl, mash together bananas with honey, vanilla, salt, cinnamon and nutmeg. Add banana mixture to the oat mixture and stir until fully incorporated. Add walnuts and stir again until well combined. Pour bowl into the prepared baking dish and use a rubber spatula to press mixture firmly into the pan. Bake for 25-30 minutes or until lightly browned. Let cool completely before slicing into bars. *Honey is not technically vegan. To make vegan, replace with maple syrup, agave or dates. I am going through your site, and I see so many wonderful recipes that I can’t wait to try :). In the above recipe, did you use quick cooking oats or old-fashioned oats. I have old-fashioned oats, was wondering whether they would work. I have never baked with oats. I always use old fashioned but quick would work too! I feel like everyone wants more Chia these days. I am so glad to have this recipe to pass on to all the friends who ask about it. And to have for myself. Lunchbox score! Thanks for the great idea. Oh my gosh, these bars have my name alllll over them! They’re a perfect afternoon snack and on-the-go breakfast! Oh I hope you like them Kelli!! They are perfect for on the go!! Enjoy! Love the picture of you and your little man! 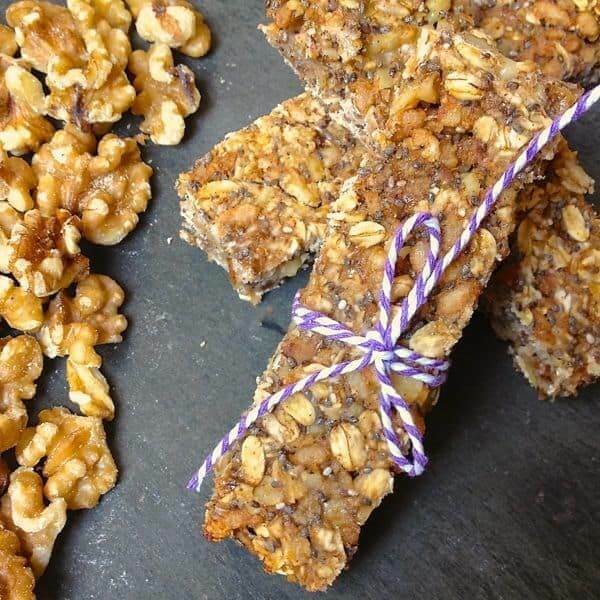 This banana chia combination sounds perfect for snack bars! Aww thank you so much Jessica!! I hope you try these! Looks like a good recipe, however they are not vegan since they contain honey. 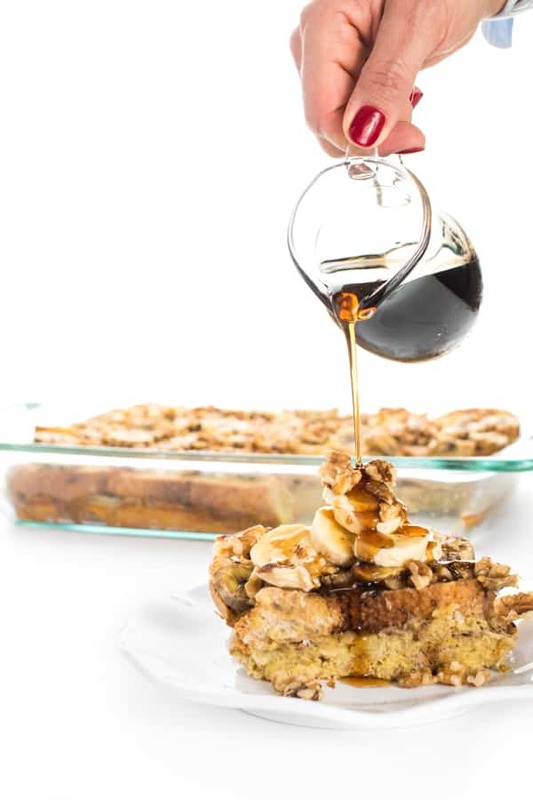 Replace dates or agave syrup with honey to make them vegan. What a fun trip! 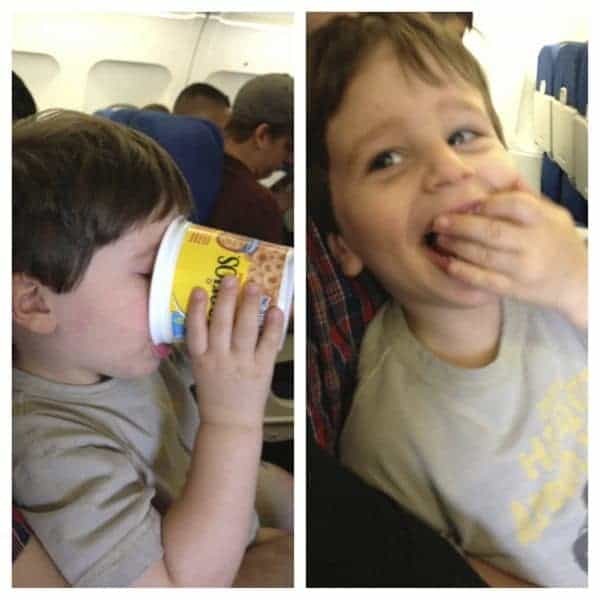 And what a fun and great treat to make for traveling. Love this! Thank you Sandy!! He is really a great traveler – we had fun!! I am pretty sure you will reach that dream my friend!! It looks as though you had a wonderful trip, Liz! I’m excited to be going back to Boston in April…it’s such an amazing city to explore. These bars are perfect for healthy snack options. I love that they’re not packed with sugar. I’m so glad you’re going back Dara!! Are YOU running??? Glad you had a good time while you were here! I miss Boston so much!!! You’re so lucky!! These bars sound perfect for those busy days and your little man is adorable! Man these sound so good! Well if you go to Boston you have to come to my hometown of cape cod. Oh wow you’re from the Cape?? I’m so jealous – such a beautiful part of the state! Oh I could totally use one of these for my snack right now! You know it’s funny, I was just thinking the same thing!! :) Thanks Steph! 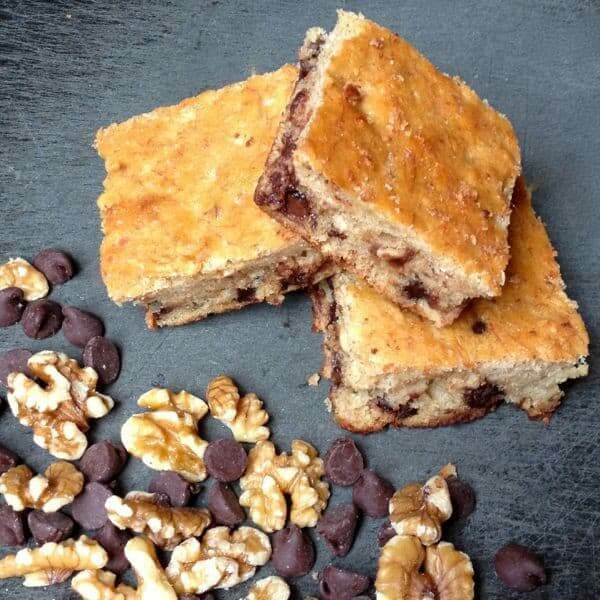 With ski season quickly approaching, these power bars would be the perfect snack! And I loved all your photos of Boston, I still have never been! Oh you have got to put Boston on your hit list!!! You would love love love it!! These are amazing for travel…or for weekday breakfast. I love the banana/chia combo, too. 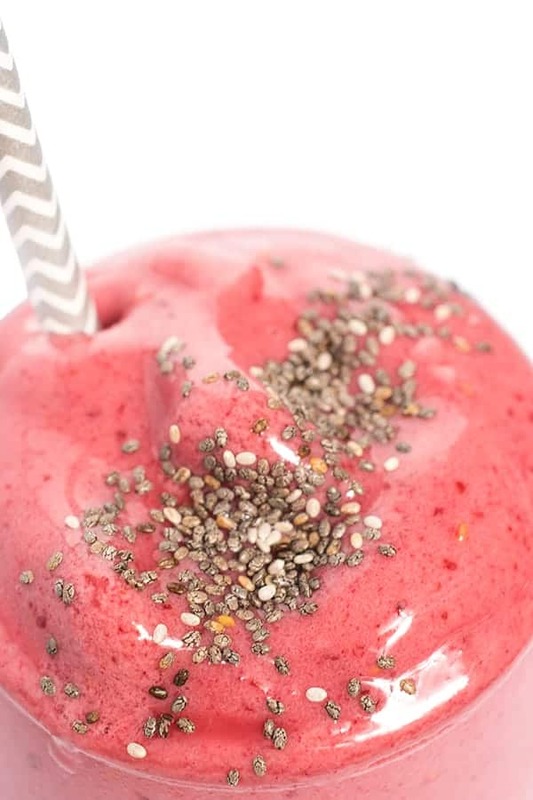 I’m always looking for ways to include more chia. The vacation looks like it was absolutely amazing! Me too!! I always have chia in the pantry but admit I often forget to use it. BTW- chia is HUGE in the running world since it has so much protein and is great for re-fueling! LOVE these!!!! :) And I’m dying to go to Boston. I can’t believe you’ve been all over the world and not Boston!! You would love it! !